A classic for sure! Right? When I think "Thanksgiving" I think, turkey, stuffing, pumpkin pie and pecan pie! It is one of my husbands favorites and I can't wait to share my recipe with you. I borrowed one from my mom, I like using recipes she has used, but she didn't regularly make it. Therefore, I played with one she gave me. So I created my own spin, and upped the butter, of course, and the pecans, of course, and a few other things. I like this texture, and before this whole pecan pie thing, which, I don't necessarily care for, I never knew I preferred one texture over another with this one. Now, I have seen pies that cook the ingredients first, and I have seen recipes with so few pecans, I doubt you could call it a "pecan" pie. 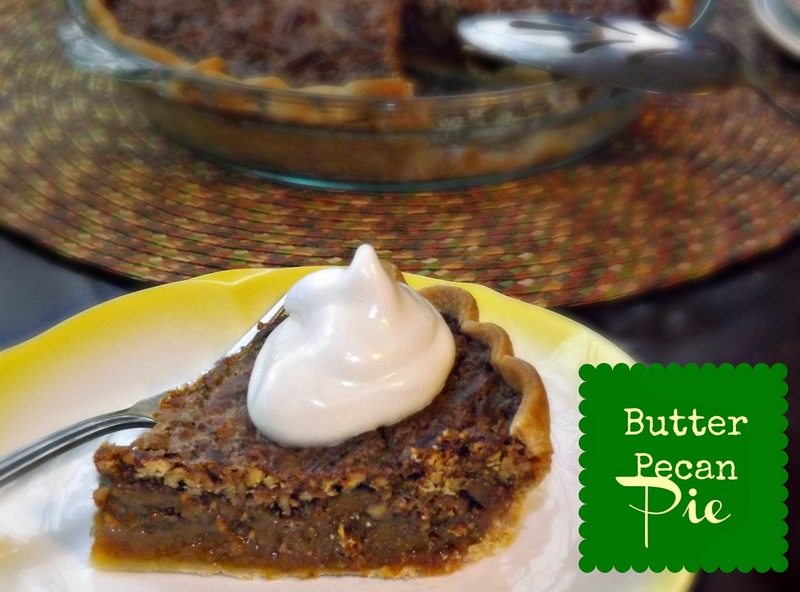 I wanted more of a buttery pecan pie so that is what I created. I don't know if it is necessarily more or less buttery than any other pie but to me, it is perfection, and to my hubby, it is perfection. That was all the "go ahead" I needed to share it with you. This is a toss it in one bowl and pour it in kind of recipe. This one takes a bit longer to bake, but it will be so well worth your wait! 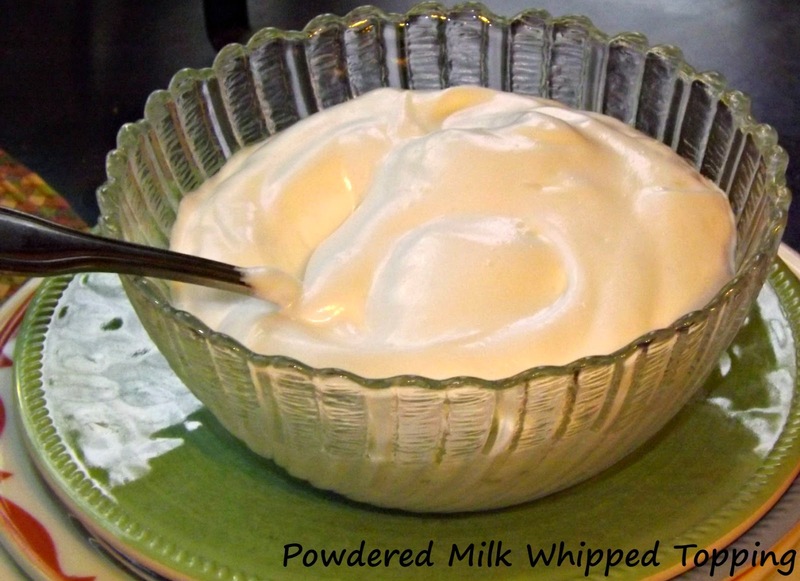 I am also including a little recipe for a powdered milk whipped topping. I was using the powdered milk for some frosting and saw this recipe on the back. I decided to try it out. While it isn't fresh sweetened whipping cream (swwooonnn), it is a great substitute in a bind. It tastes nice, it is easy to make with things that are likely pantry staples for you. Just please follow the directions just as they are written. Ask me why I say that. Go ahead.......... I tell you that because 2 times I didn't follow them exactly and two times, it failed. Save yourself the hassle! Preheat your oven to 350 degrees F. Place your crust into a pie plate if needed. Finish the edges how you like, IF you like and place in refrigerator. Combine, corn syrup, eggs, brown sugar, butter, and vanilla into a mixing bowl and whisk together. There is no need to pull out the standing mixer or even the hand mixer, just whisk this together until smooth and you are done! 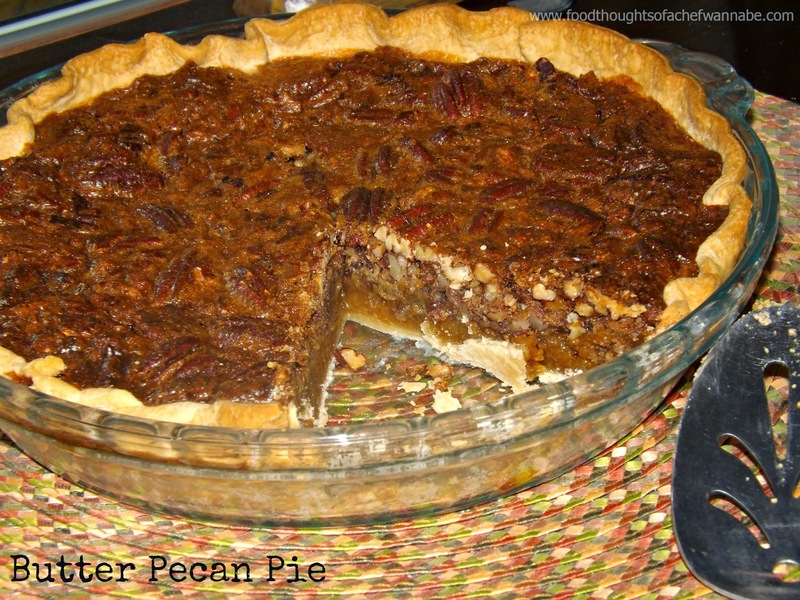 Now take crust from refrigerator and place all of the pecans in the bottom of the crust. I love the combo of chopped and whole. It just adds some texture and I like it. Use all chopped if you like. Just make sure there are 2 cups. I like "heavy on the nuts". Now carefully pour your mixture on top of the nuts, place into your oven for 55 minutes, after that cover with foil, and bake another 15-20 minutes. When the middle barely jiggles or doesn't jiggle at all you are done! Remove and place on cooling rack. Let cool COMPLETELY. We clear on that part? Serve with love! Now, remember do this in the order I tell you! I did this in my standing mixer, use an electric mixer if you like. Combine water and lemon juice, then add your powdered milk and stir until dissolved. Now beat for 6-10 minutes, until you get a stiff mixture. Add in sugar and vanilla and beat until combined. That is it. I have mine in the refrigerator, I have no idea how it will last, but since I made a double batch the 3rd time I figured I should see how it fares in the fridge.